Which Is It: Asperger's Or ADHD? | Kenneth Roberson, Ph.D. 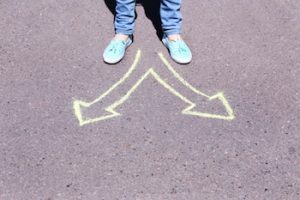 Which Is It: Asperger’s Or ADHD? As similar as they appear, Asperger’s and ADHD are not the same. Asperger’s syndrome and ADHD are thought to be separate conditions. But is this true? After all, both occur early in life and interrupt normal development. They both affect people in three central areas: communication, social interaction, and behavior. Could it be that what appears to be distinct syndromes, in fact, is the same disorder? Both Asperger’s and ADHD are first and foremost social-communications disorders. They involve difficulty reading social cues, attending to the give-and-take of conversations, interpreting facial expressions, comprehending the social aspects of language, and empathizing with the concerns and needs of others. People with either disorder have great difficulty with the literal interpretation of language. They have a tendency to talk on and on, to ask repetitive questions, and to engage in endless arguments. Both conditions also involve deficits in executive functioning, which involves the ability to shift attention flexibly, inhibit irrelevant responses, set and achieve goals, and use reason and planning to solve problems. Sensory sensitivity. Some may be highly sensitive to noise, light, clothing or temperature. Others have lowered sensitivity levels. Is There a Difference Between Asperger’s and ADHD? The short answer is, it depends on what you think causes each condition. Most ADHD researchers believe that the impulsivity and hyperactivity of ADHD are caused by a problem in the person’s ability to restrain or prevent certain behavior. At some level, the ADHD person can’t stop his or her behavior and exercise self-control. This is compounded by an inability of the ADHD person to filter out stimuli from the environment. The problem of ADHD is not an inability to concentrate but instead a problem of focusing or attending to everything. The failure of the ADHD person to form intimate relationships mostly comes from trouble controlling the flow of action and feeling and to pause long enough even to listen to the other person, let alone understand and respond to the person’s needs. The whole problem of ADHD is an inability to restrain action and feeling. Asperger’s, on the other hand, involves an inability to comprehend what other people are thinking and how they feel. It is a problem of not knowing what goes on in another person’s mind. This leads to trouble understanding the finer aspects of communication, interpreting facial expressions and body language, maintaining eye contact, following conversations, and responding appropriately to emotional communication. Thus, the core problem of Asperger’s syndrome is one of comprehending other people, leading in turn to misunderstanding language, social and behavior cues. It’s possible. Both involve impairments in the growth and development of the brain. Their core behavioral characteristics are the same. They share many co-existing conditions, involve the same central areas of communication, social interaction and executive functioning, and difficulty engaging with and responding appropriately to others. Personally, I believe they are separate conditions. The autistic process, which is at the core of Asperger’s, is different from what causes ADHD. However the overlap between the two is huge, and determining whether any one person has Asperger’s or ADHD often is quite hard. Perhaps future research into these two conditions will clarify this question in a definitive way.